In celebration of Ettore Bugatti’s first car, the Type 10, last week, and we expect it’ll debut in the flesh next month at Geneva. 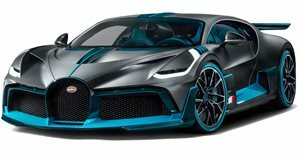 However, Bugatti may have an additional surprise to reveal. According to , the ultra-exclusive carmaker will reveal a one-off hypercar at Geneva as well. Precise details are scarce for now, but sources claim the car was built for Dr. Ferdinand Piëch, the now 81-year-old former chairman of the Volkswagen Group supervisory board and grandson of Ferdinand Porsche. The rumored value of this mystery Bugatti is 16 million euros, or roughly $18.14 million, according to today’s exchange rates. Because Bugatti currently builds only two models, the Chiron and Divo, chances are almost for certain it’ll be Chiron-based. The Divo, introduced last year at Pebble Beach, is essentially re-bodied version of the Chiron, though with significant exterior modifications. The one-off can also be expected to come powered by the same 8.0-liter quad-turbocharged W16 engine found in the Chiron. Chances are it’ll receive a power boost. The Supercar Blog claims its source for the story comes from "internal rumors” within the company. Given that new CEO Stephan Winkelmann is known for not only a high sense of personal style but also for identifying niches and bringing them to market, as he did during his highly successful Lamborghini years, a Bugatti at this level doesn’t sound so surprising. The Divo and Chiron Sport, for example, have his fingerprints all over them. We’ve also reached out to Bugatti for comment and we’ll update you if there’s anything new to report. 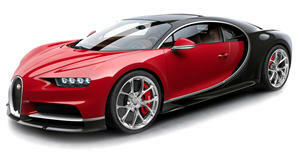 In the meantime, this one-off and very expensive Bugatti remains a rumor and any details are pure speculation. But it would be quite something if this all turned out to be true. We’ll find out soon enough.